When I was a little girl I absolutely LOVED my grandma’s banana pudding for dessert-layers of banana pudding, vanilla cookies, and sliced bananas combined to form perfection in every bite! 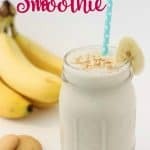 I was recently inspired to recreate my grandma’s dessert in a morning-friendly Banana Pudding Smoothie! Combine all ingredients in a blender and pulse until smooth. Serve immediately topped with additional crushed vanilla wafer cookies if desired. 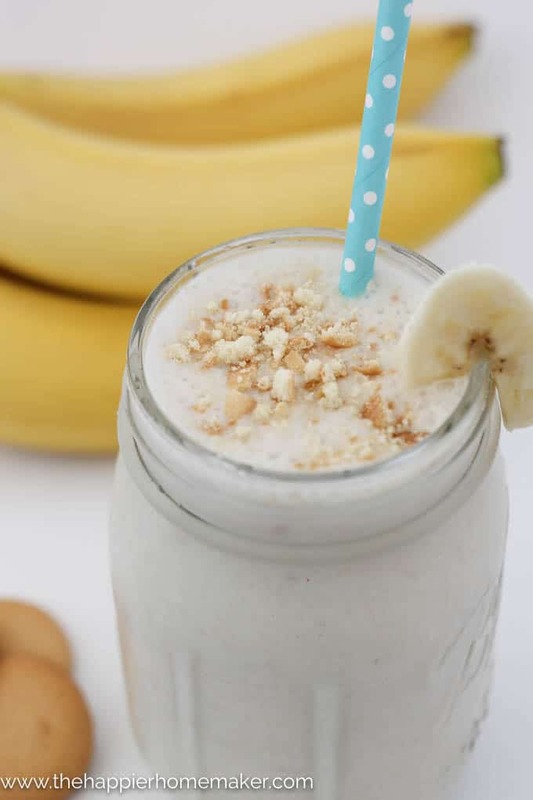 This smoothie is like drinking my favorite dessert for breakfast-and it’s nothing to feel guilty about! 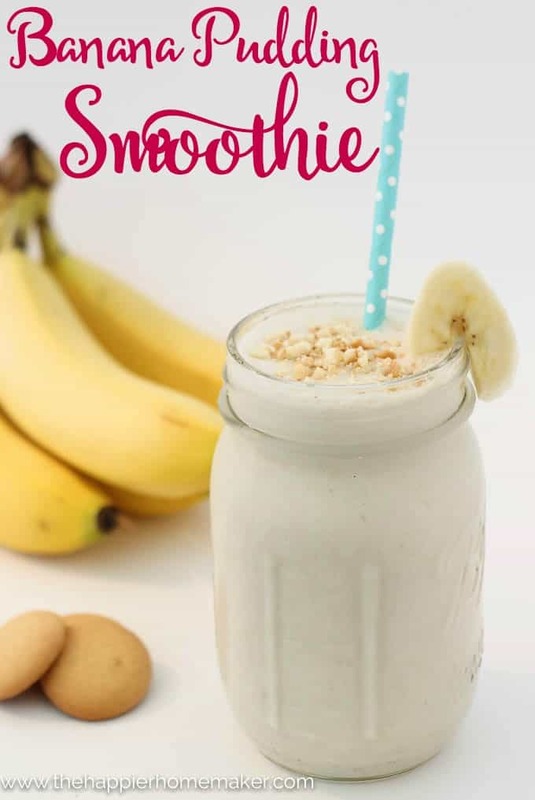 I love starting my day with a smoothie-even if we’re busy it’s a fast way to get my day started on the right foot, my boys love smoothies for breakfast too! 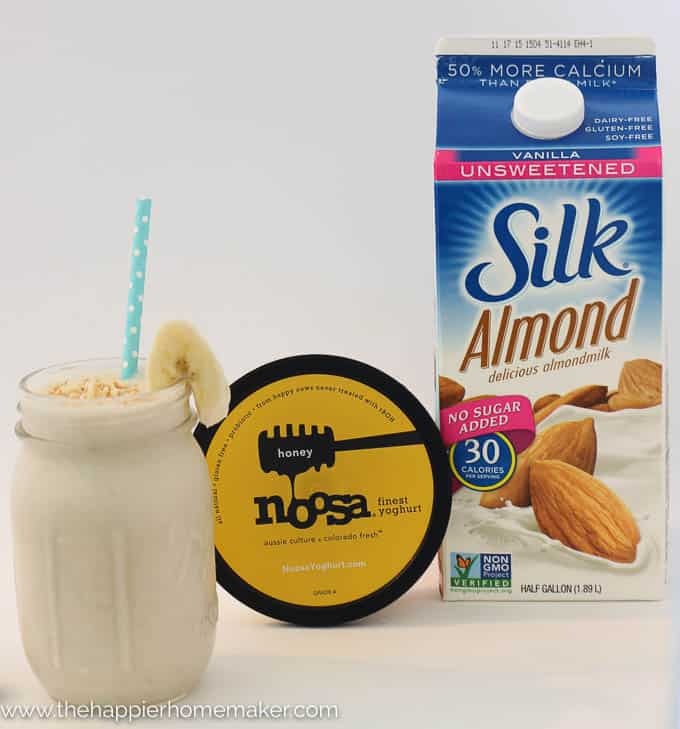 All the flavors of your favorite childhood banana pudding dessert in a fast, on the go breakfast smoothie! Serve topped with crushed vanilla wafer cookies if desired.